Call Carpenter... Call It Sold! 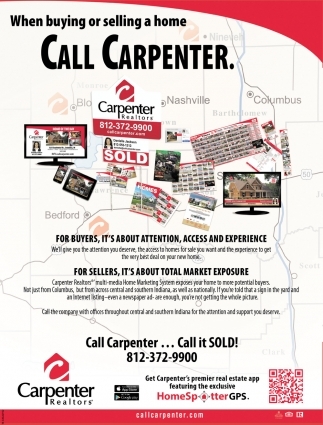 When Buying Or Selling A Home Call Carpenter.